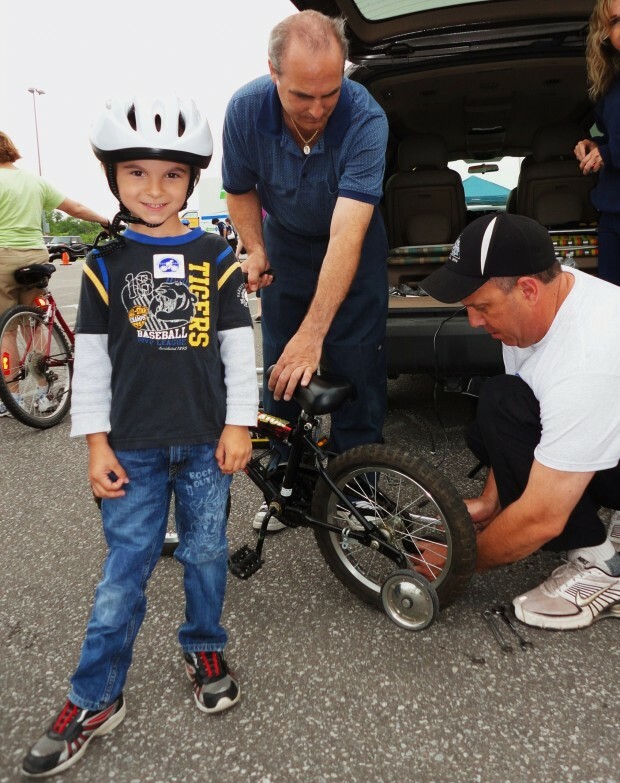 Carter, 5, had his bike checked to ensure it was safe at the 3rd annual Rediscover Your Bike event. The bike safety included checking tire pressure, brakes and seat height. 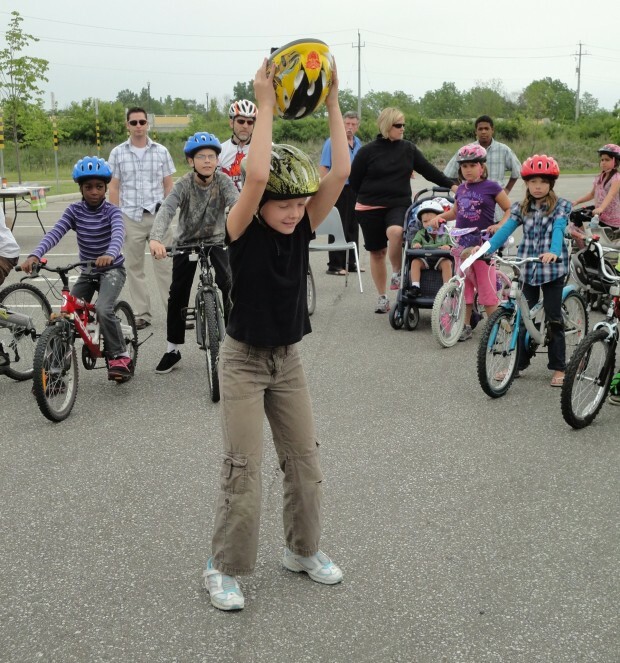 Over 150 people gathered at the WFCU Centre Saturday morning to teach kids how to ride their bikes safely and encourage people to ride their bikes this season. “It’s a past time thing. 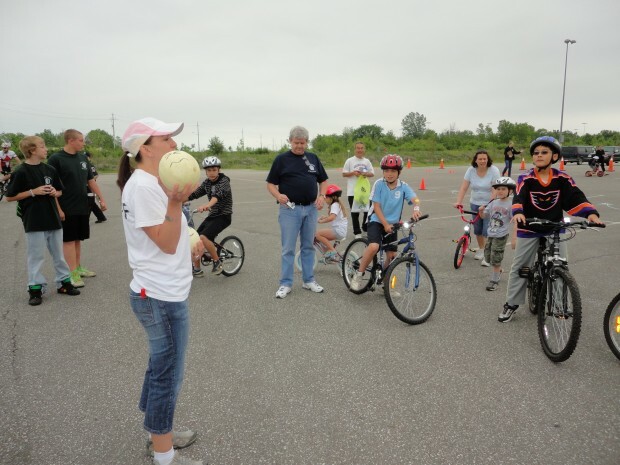 This event helps bring cycling into the community,” said Health Promotions Specialist, Cathy Copot-Nepszy, from the Windsor-Essex County Health Unit. This event also stressed the importance of wearing a helmet. 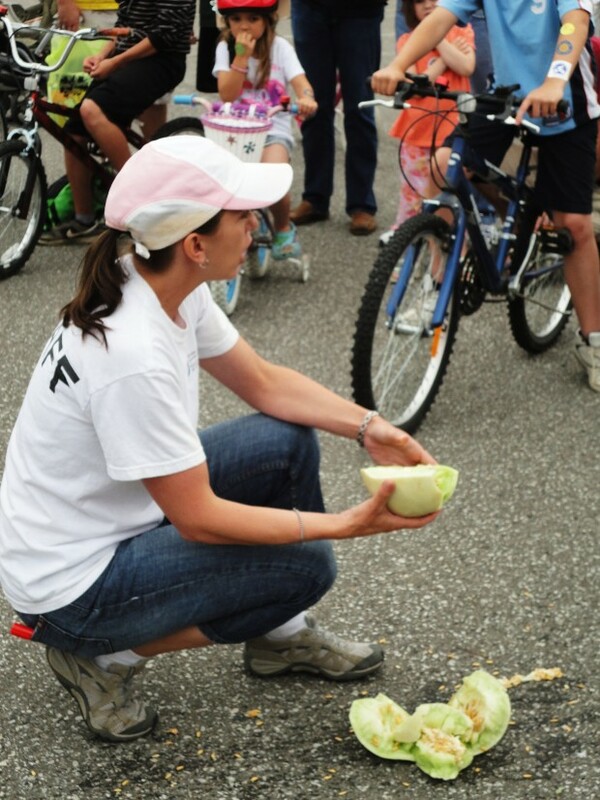 The melon drop demonstration showed kids how dangerous riding a bike without a helmet is. When the melon was thrown to the ground with a helmet on, the melon did not crack. This sent a strong message to all of the kids who participated in the event. 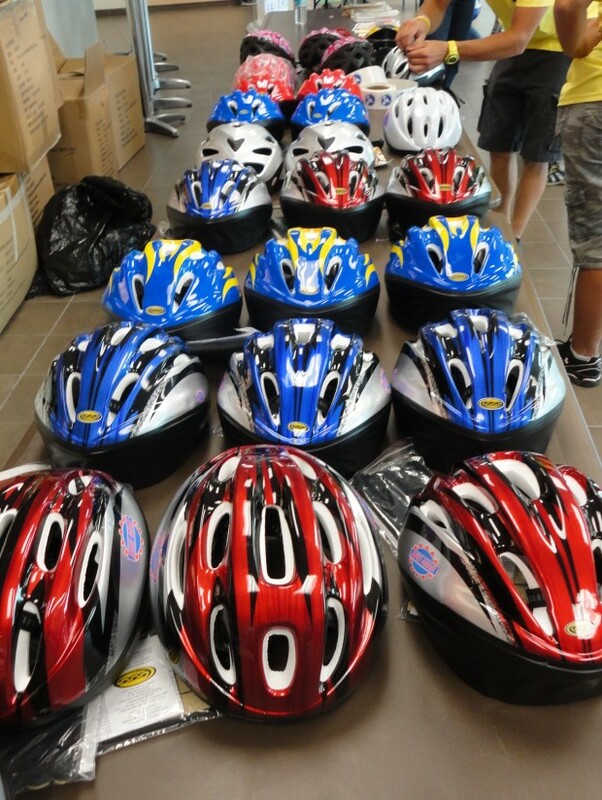 Helmet giveaways were donated through the Helmets on Kids Program. The kids also received a free fitting. Approximately 40 unsafe helmets were collected in the past week. “Parents should always check the expiry date in helmets,” said Heather Barrington, who works in Injury Prevention at the Windsor-Essex County Health Unit. If there is no expiration date on the helmet, Barrington recommends keeping it no longer than five years. Inspecting the foam and shell of helmets regularly for cracks is highly recommended. For more information on bike safety visit the Health Unit website.